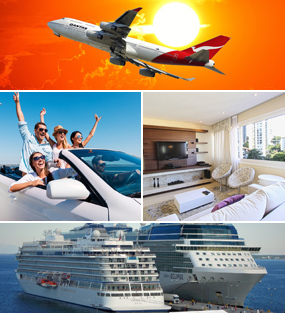 Plan vacation or business trip with eTravel.com and search best offers, cheap rates and discounts on hotels rooms in Miami. Find your next great offer and book your perfect hotel in Miami. On this page we give you information related to hotels and activities available in Miami, Florida, United States. How is the Miami City? Depending on your purpose of visit, you may plan your stay. If you are in the city for work or attending a meeting, book a business hotel in the business district, Downtown Miami. If you are in the city for rejuvenation and unwinding, South Beach is the place to be. The entire stretch of Ocean Drive is buzzing with hotels, from small budget, to boutique hotel to extravagantly luxurious ones, with most of them having a pool and access to the beach. If you are visiting Miami with kids, a kid friendly suite near the Miami Seaquarium or Zoo Miami area is a better choice. Famously called the ‘Cruise Capital of the World’, Miami port is the busiest in the world, ferrying passengers to Bahamas, Mexico and other South American destinations. What are the Popular Attractions in Miami? A trip to Miami is incomplete without seeing the exquisite beauty of South Beach and Art Deco District on Ocean Drive. Immerse yourself in the cultural Cuban flavors in Little Havana with restaurants bussing with specialty food and Latin music echoing all around. Miami Seaquarium and Zoo Miami have been a favorite amongst family tourists. Miami Science Museum and Goldcoast Railroad Museum have exhibits for those intrigued by technology. Shop at the designer and exquisite boutique stores at Bayside Marketplace, an outdoor mall located along Miami’s waterfront having several restaurants, cafes and live entertainment. How to Enrich your Miami Experience? If you are pressed on time, having only a couple of days to visit the city, take the city sightseeing tour as it is the best way to see the most of the city attractions. You can club in multiple sightseeing offers such as Miami Sightseeing Tour, Biscayne Bay Cruise along with Everglades Airboat Tour all in one. If planning to go to Zoo Miami or Miami Seaquarium, it is better to plan those on weekdays as the weekends can get quite crowded. You might be tempted to fly out to Fort Lauderdale due to cheaper fare than Miami, however, the cab fare into the city from Fort Lauderdale is $100 one side, making it even in terms of money that you’ll be saving. Also, the terminals at Ft Lauderdale have limited seating and poor acoustics making it difficult for passengers to hear the announcements and in turn, missing their flights. With people thronging the clubs, you might have to wait for longer time to get your drinks. A better idea is to stick to one server, ask him his name, hand him a couple of dollars beforehand and see the cocktails flowing.